Google has just revealed the successor to its android platform. Android 4.4 aptly named Kit Kat, just like the chocolate bar. 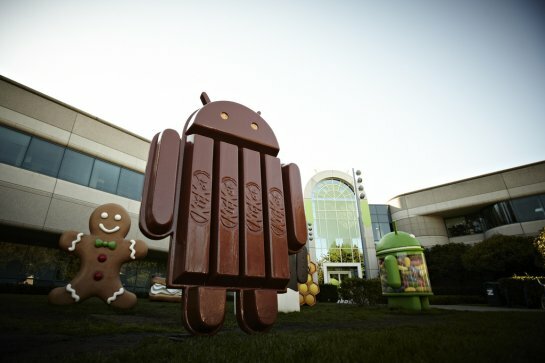 Google’s SVP Sundar Pichai confirmed via Google+ and Twitter a picture of a Android shaped Kit Kat outside Google’s Campus. Pichai also went ahead and announced that the Android Platform has surpassed well over 900 million activations to this date. Google has also taken this opportunity to also partner with Nestle the makers of Kit Kat. What is to come of this is still uncertain and up in the air but I believe its safe to say that we will be in for a very sweet treat this coming year. Google has been an avid user of treat-based names for their android platform. Here is a quick recap to this day: Cupcake, Donut, Éclair, Froyo, Gingerbread, Honeycomb, Ice Cream Sandwich, Jellybean, and now Kit Kat.